Born in Essex, England, susan pui san lok is an artist, writer and Associate Professor in Fine Art at Middlesex University London. She is also a core member of the Black Artists & Modernism (BAM) AHRC Research Project. Her exhibition and publication projects have previously been themed around nostalgia and aspiration, place and migration, translation and diaspora. Currently exhibiting RoCH Fans & Legends at CFCCA, Manchester, as part of their 30th anniversary celebrations, she has played a significant part in the development of the gallery and agency, holding her first solo show there in 1996. The Double Negative: On behalf of the uninitiated (which includes me), could you tell me a bit more about RoCH and the classic “wuxia” epic, and its enduring popularity in China? susan pui san lok: “Wuxia” literally means “martial hero”, and refers to a long-standing literary tradition dating back to the 13th century, as well as a cinematic genre that goes back to 1920s Shanghai silent movies and remains extremely popular in Hong Kong especially, which saw a huge expansion of film and television industries in the 1970s. In the West, it’s widely identified with the transnational success of Ang Lee’s Crouching Tiger, Hidden Dragon (2000), and many films that have followed in its wake, but its history is much longer than that. While wuxia and kung fu can both be described as martial arts, arguably, they cannot be used interchangeably. Many will be familiar with the iconic figure of Bruce Lee and may even remember the kung fu-craze of the 1970s, however the wuxia aesthetic is quite different – usually involving swordplay and fantasy. 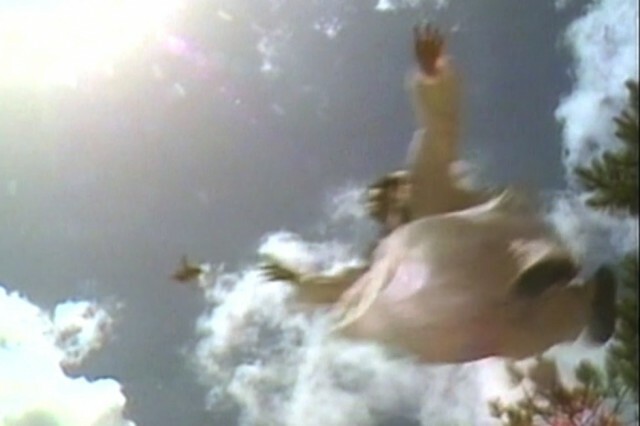 Wuxia is perhaps typified by sequences of the weightless hero or heroine in flight, leaping over rooftops or even trees. I’m very interested in how this trope is represented, and what it might signify. I am really interested in the contribution of fans and fandoms into our cultural and media landscape. Can you tell me a bit more about involving this kind of content in your own work? Sure. 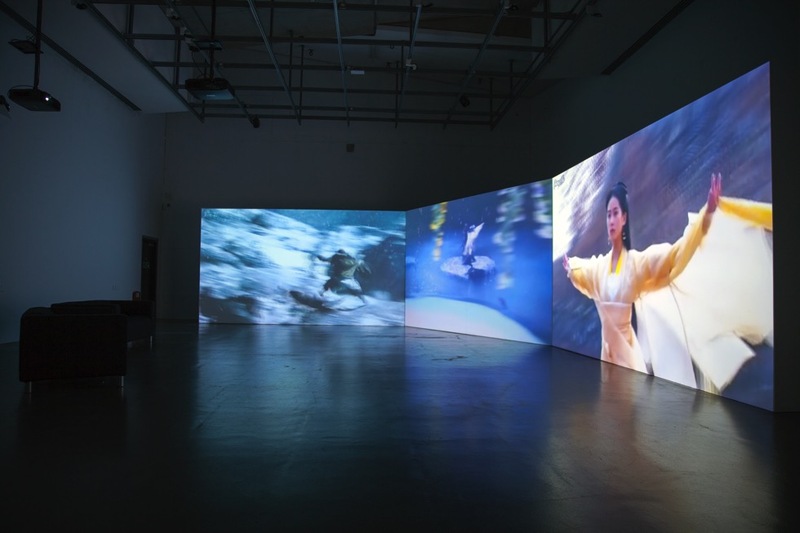 The central piece in the body of work called RoCH Fans & Legends is Trilogies, a three-screen installation comprised of 13 different television adaptations of Jin Yong’s The Condor Trilogy, a classic “new wuxia” novel series that first appeared in newspaper serialised form between 1957 and 1963. Its enduring popularity has led to over 40 adaptations across film, TV, animation, comic book and video gaming platforms in under 60 years – that’s virtually one every 18 months. Beyond the official adaptations are the numerous unofficial fan-versions in circulation, via pirate video networks or online file-sharing sites or personal channels, with additional subtitles or dubs. Trilogies alludes to these networks and economies by drawing entirely on material uploaded by fans – the “bad copies” and “pidgin” translations if you like. This might raise the question of whether this is an experimental moving image work that can also be viewed as an extravagant example of fan art – I don’t necessarily see a conflict between the two. You are also working with sound artists from Manchester in your event Call and Response at HOME – could you tell us more about their involvement? Yes – as part of CFCCA’s ongoing Call and Response series of sound art events, CFCCA and HOME are staging a one-off screening of a single-channel version Trilogies, with live sound segments, called Trilogies LIVE. 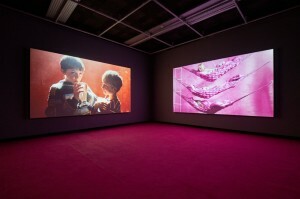 The installation version presents three distinct screen sequences simultaneously, each screen corresponding with different versions of parts one, two and three, each sequence running to 65 minutes each, and with three concurrent soundtracks. The single-channel version presents each sequence – well, sequentially – with some slight modifications, so the overall running time is 149 mins. I’m very happy to have the opportunity to present an epic screening of a work based on epic source material, which requires a certain commitment to experience in its entirety. I’m also very excited to be able to invite three Manchester-based sound artists – Vicky Clarke, Mark Dyer and Alex Macarte – to respond to the work visually, acoustically, and conceptually. They have such extremely different backgrounds and practices as musicians, composers and performers, and it will be their live performances accompanying parts of the screening that make Trilogies LIVE a truly unique event – bringing together and opening up, I hope, new ways of seeing, viewing, listening and understanding to wuxia. 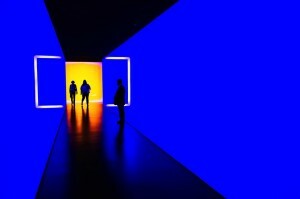 With all the potential for art as kind of cross-platform, and as collaborative storytelling, what does it mean for you to exhibit in a gallery? And with that in mind, what will audiences experience when they visit RoCH Fans and Legends? For me, it’s about how different platforms engage different audiences, and the conversations and histories that one participates in, by exhibiting or ‘speaking’ in a particular space. 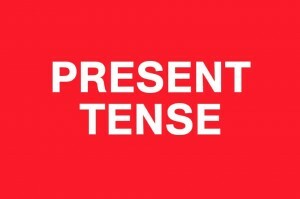 Each platform or space offers a particular set of potential relations and dialogues. I see my work as situated in the contexts of contemporary art and moving image, which of course converge and diverge in various ways when one considers how broad, complex and contested these field are. It might also be seen as speaking to diasporic visual culture studies or the burgeoning interdisciplinary area of martial arts studies, or animation… So RoCH Fans & Legends exists in part online, with various works viewable at www.animateprojects.org, as well as in the gallery. CFCCA presents the above-mentioned central piece, Trilogies, as well as a silent version of Trailers in their Window Gallery. The project is ongoing, and there are other works including an eight metre long concertina, which unfortunately is too large for CFCCA! As CFCCA indicate, you have contributed to the centre’s history significantly. Could you describe what it means to you to be part of their 30th birthday celebration programme? I am delighted to be returning to CFCCA 10 years after Golden (2006), and 20 years after my very first UK solo show [Retrospectre/Un-(part 6) (1996)] at the then-Chinese Arts Centre, when it was still on Edge Street. I feel lucky to have worked with, and had the support of, so many dedicated individuals over the years, including Kwong Lee, Yuen Fong Ling, Sarah Champion, Sally Lai, Ying Kwok, Sarah Fisher, Zoe Dunbar and Ying Tan. In my view, CFCCA’s transformations and endurance attest to its necessary existence, and the ongoing challenges and provocations presented by the conjunction of “contemporary”, “Chinese” and “art”.